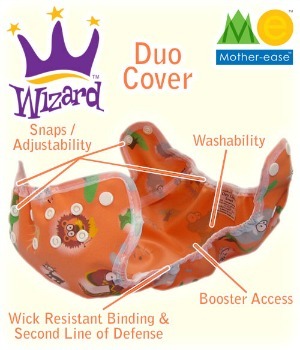 The Adjustable Wizard Duo Cover is a lightweight, waterproof All-in-Two diaper cover. The One-Size cover fits babies from 10-35 lbs. The Duo Cover features an adjustable waist and rise snaps for a secure, tamper-proof fit. Fully elasticized waist, both in the front and back, for a comfortable stretchy fit. 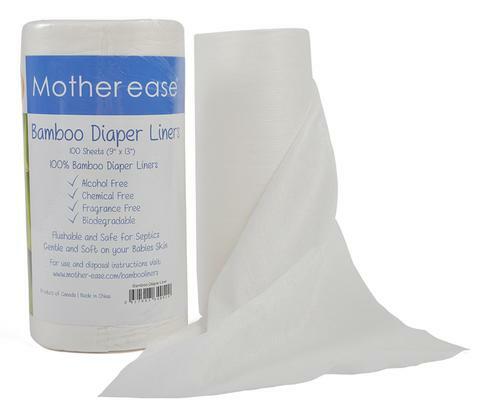 It can be reused a number of times by snapping in a clean absorbent Duo Insert. The absorbent Duo Insert snaps into the Adjustable Duo Cover using 6 snaps, ensuring a secure, leak-free fit! Note: The Wizard Duo Covers run true to size. 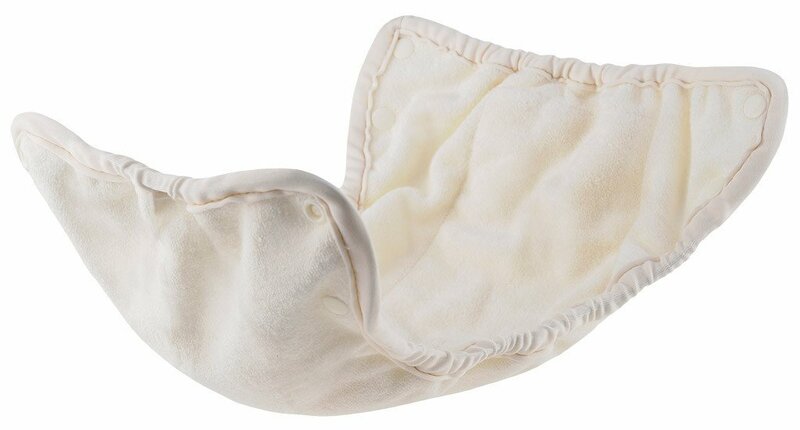 The Wizard Duo Absorbent Inserts snap inside the Wizard Duo Covers to ensure a leak-free diapering system. 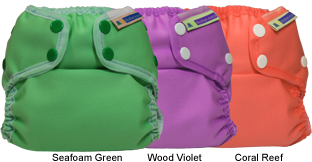 Due to the snaps located inside the Duo cover, we do not recommend using it with prefolded or flat diapers.